NUSTweb guides students to get admission in top level universities of Pakistan in undergraduate program by helping in NAT,NET,ECAT,MCAT entry tests. PIC is located in Lahore at Jail road. Punjab Institute of Cardiology currently offers these programs of 4 years length. 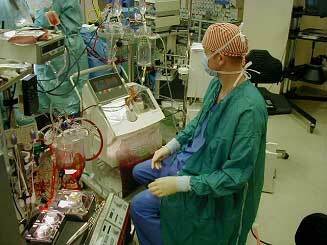 For Cardiac Perfusion,at least 50% marks in FSC or in equivalent degree. For Medical Laboratory Technology,the criteria is same as above.Also diploma in Medical Laboratory from PIMS,HIH Islamabad,PH Lahore is also accepted. At least 50% marks in MCAT paper. How to apply in Punjab Institute of Cardiology? You can get the prospectus of PIC and admission form in 100 Rupees only from the office of Punjab Institute of Cardiology (PIC). Candidates will be selected purely on merit. The test will be conducted on an announced date and names of selected students will be displayed on notice board. You can call at Punjab Institute of Cardiology contact number 042-99202051-60 for further help. You can also apply for FMDC admission. FMDC syllabus is also available for medical students. Feel free to comment.Team NUST is here to listen you. Which university seems best to you?